When someone enlists our knowledge and contacts to plan a trip, we understand we play an essential role in ensuring our travelers not only have an exciting journey, but also an enlightening and perspective shifting experience that can open them to new ways of connecting with the world around us. Our tailored approach allows for highly personalised trip planning that takes into account how you want to experience a destination, always offering sound advice and guidance. Stephen Patterson came to us to plan his trip to Morocco earlier this year. We were not only happy to learn he was venturing out on his own (solo travel is a highly transformative experience) but also that he was hoping to have a balanced rhythm of guidance as well as time to get acquainted with the destination one-on-one. 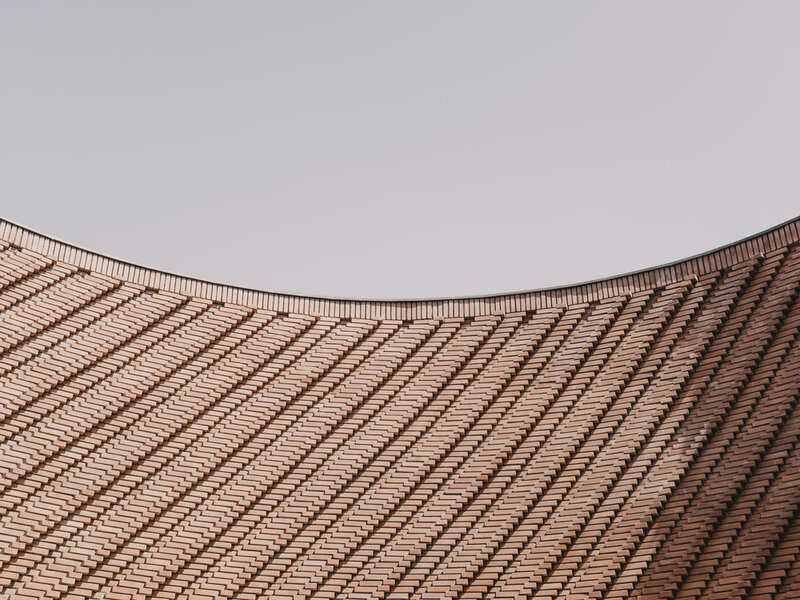 To this effect, we crafted a trip that delved into the cultural landscape of his personal interests such as photography, music and the culinary arts, but also allowed for thoughtful moments of time at leisure. Beyond working closely with our travelers during the planning stages and remaining present throughout the trip, we are always pleased to learn how each one’s experience (even of the same places or destinations) are surprisingly different, and how the very fabric of what makes us individuals affects the way we view, feel, perceive and sense an new and unknown place. 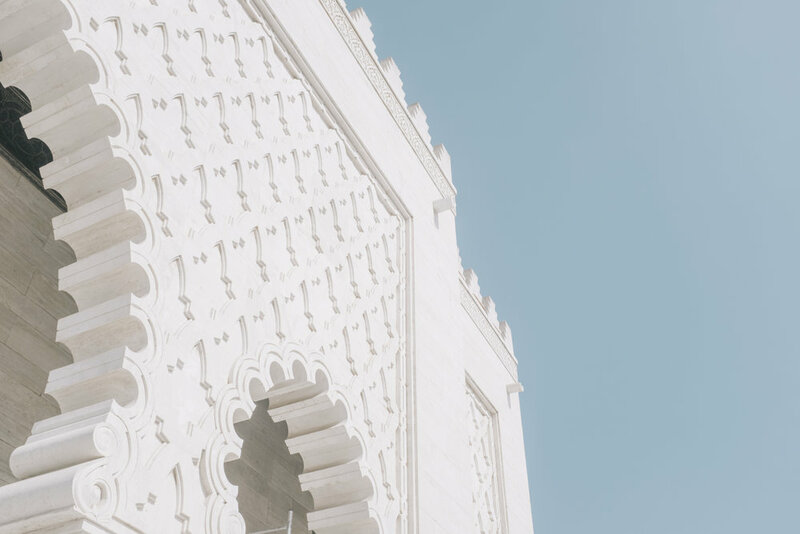 Here, Patterson shares with us a very personal and unique take on Morocco, which was highly influenced by the light and hues of the different cities he visited, as well as the contrasting experiences he had throughout the trip. In my mind, Morocco consists of dry heat, golden sands, and unblemished blue skies. But as I begin to explore the landscape, it started to change those initial assumptions that I had. As I disembark the plane in Casablanca and take the first steps of my trip, I’m greeted by two warm faces eager to unfold the wonders of this foreign land they call home. En route to Marrakesh, the first stop of my trip, I get a chance to get to know Zuhair, my host and guide in Morocco. The three-hour drive was a perfect way to delve into the natural landscape and get a brief introduction into the multi-layered, and sometimes overwhelming history of this small North African country. We arrived in Marrakech and headed straight into the heart of the city. The streets were bustling with preparations for Eid, a religious and cultural celebration marking the rite of sacrifice in Islam. Weaving through the maze-like alleyways and market stalls of the medina, we finally reached the riad I would call home for the next few days. As the door closed behind me, I suddenly felt at peace, the hustle and bustle of the medina dissipating into thin air. In accordance with traditional Moroccan hospitality, I was welcomed very warmly and invited to some fresh mint tea and local pastries before settling into my room. Zuhair would describe Morocco to me as a ‘Country of Contrasts,’ something that became more and more apparent as my trip continued. The landscapes would change from rolling hills, to tight alleyways, snow capped mountains, and blissful seascapes; Like anywhere in the world, there were people that would greet you with the warmest smile, and those that would try to deceive you. To this effect, on one of the afternoons that I had to explore independently, I was unfortunate to have a run in with a boy that tried to take advantage of my lack of knowledge of Arabic and Marrakesh. While I was shook from this experience, I decided to look past it, as this was a single encounter that didn’t outweigh the others I would have throughout the trip. The thing I was most drawn to from Morocco was the colors, architecture, and mixture of landscapes. In the cities, once you leave the peaceful oasis of the riad, you are confronted with a world that hits all the senses; Mopeds splutter as they barrel down the tight alleys of the medina, incessant chatter, metal spoons clatter on bubbling pots; the frantic nature of the streets begin to influence my pace, almost racing. The scents of smoke, fuel, mint tea, and dust kicked up from the dirt stick to the back of my throat. Piles of carpets, woven baskets, bread, and trinkets blur in overabundance of texture and color. I pause and stare at the lanterns hanging through wooden slats above the souk as they sway in the summer breeze. 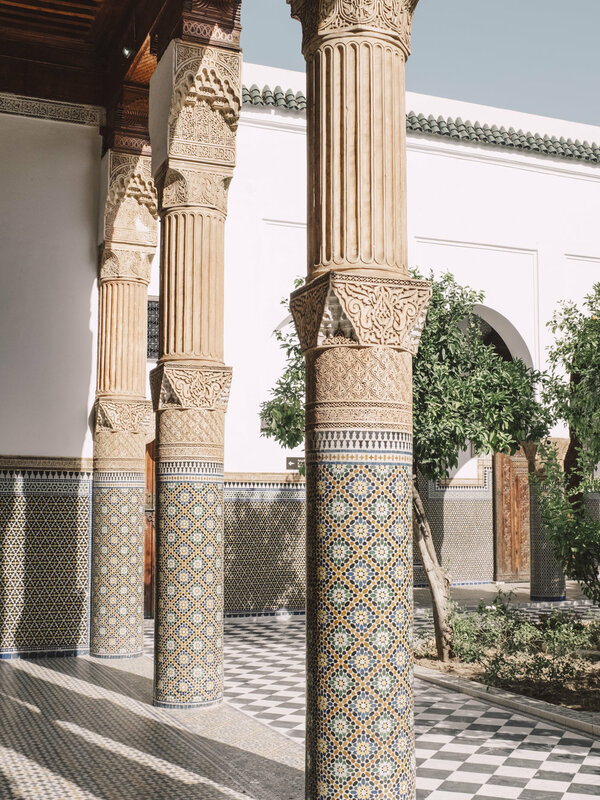 We hop into massive palaces and mosques with tiles of green, blue, white, red, and yellow; They are a break from the bustle of the city and provide a historic look into the artistic perfection of this country. As we weaved around switchbacks up the Atlas Mountains, the air began to change and so did the scenery. The pink, white, and tan hues of the city gave way to greys and greens. Streams flowed along the side of mountains, houses were built of rock and stone, and the preferred mode of transportation was a mule. It’s quiet and serene. You can hear yourself breath. “Hello Roman,” the locals would shout, as I’m an obvious outsider in these parts. The Berbers of the Atlas were the kindest and honest people I met on my trip, willing to help unsolicited. It was indeed a contrast to the city life I had become use to in the last few days. The seaside town of Essouria brought yet another landscape that contrasted with what I had previously experienced thus far. We drove past rolling fields of argan, olive, and citrus trees. The first thing I noticed about this town was the breeze from the sea as it made its way through the tight streets of the Medina. The walls of the city had changed from the pink and tans of Marrakech to white and blue hues that organically blended into the seascape backdrop. 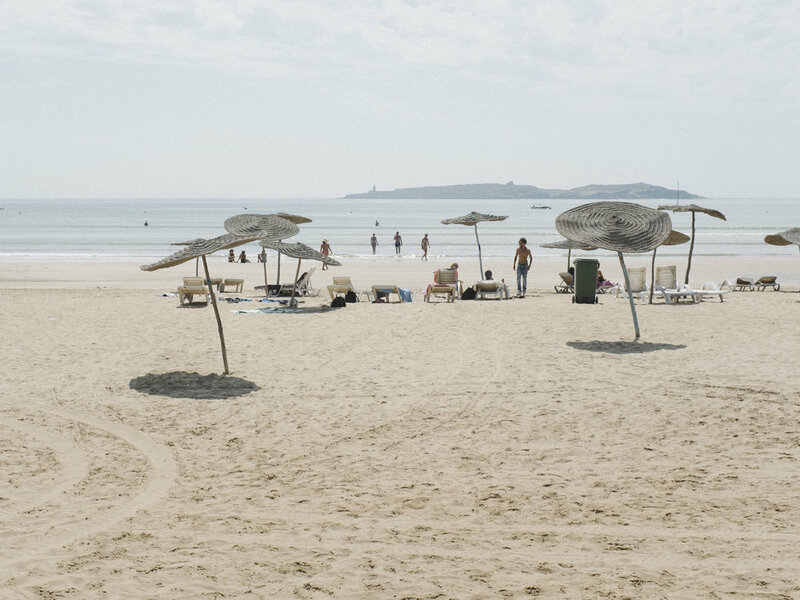 As a port town, Essaouira lives off fishing and thus the water is the focal point of all activity: local kids jumping into the Atlantic from high atop ancient architecture, families lounging on the beach, and individuals sitting along the rocky shore to catch that perfect sunset. The pace was different here, one of calmness and ease. By the end of the trip, I had become overwhelmed with all the information and experiences that I had accrued while in Morocco. I learned about the crafts in Fez, saw exquisite architecture in Marrakech, rode a mule in the Atlas Mountains, and watched the sun set over the Atlantic in Essouira. It was a trip that brought its own concept of contrasts and is one that will stick with me for a long time. Stephen Patterson is a designer and photographer residing in Chicago, Illinois. He has a sincere passion for storytelling and creating beautiful timeless work. You can follow Stephen’s work here.